Established in 2001, our factory gets specialized in producing all kinds of roll forming machines such as Corrugated Sheet Roll Forming Machine, IBR Sheets Roll Forming Machine, Glazed Tile Roll Forming Machine, Double Layer Roll Forming Machine, Three Layer Roll Forming Machine, Sandwich Panel Roll Forming Machine, C/Z/U Purline Roll Forming Machine, etc. There are professional engineers and workers to design and produce according to your need. Located in Nancang Street, Botou city where there are lots of roll forming machine factories, we firmly hold the belief that only good quality and satisfactory after-sale service can make our factory stand out. There are professional engineers ready going abroad to provide installing, debugging service and technical guide. We try to do better in this field. The machines produced by our factory have been sold worldwide such as Russia , Kazakhstan, England, America, Italy, Australia, Philippines, India, Thailand, Nigeria and Syria, etc. So we are fimiliar with the different needs for different markets. Sincerely hope to cooperate with you. 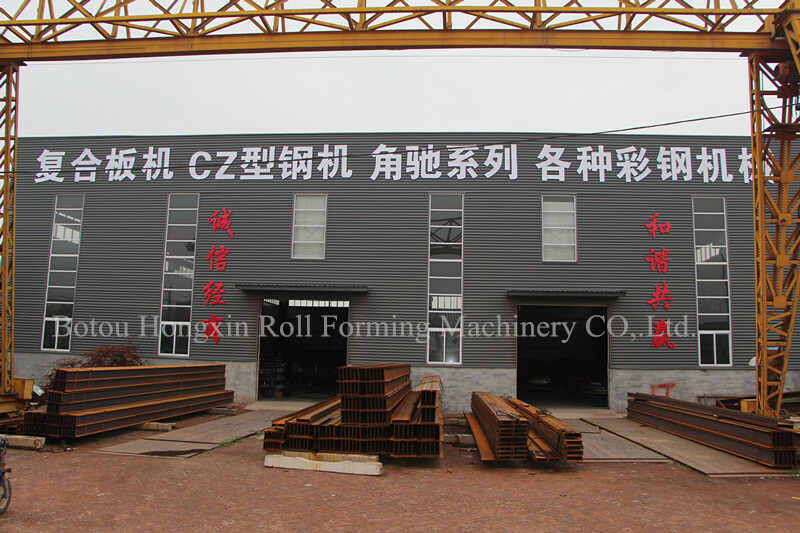 Company Name: Botou Hongxin Roll Forming Machinery Co.,Ltd.